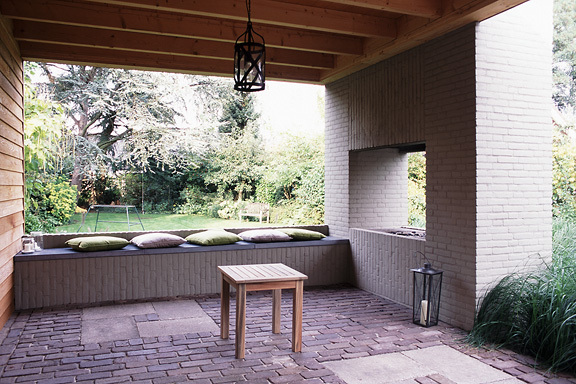 Frank en Chantal van den Eijnden asked Johan van der Berkmortel and me to design an extension to their house in Beek en Donk. 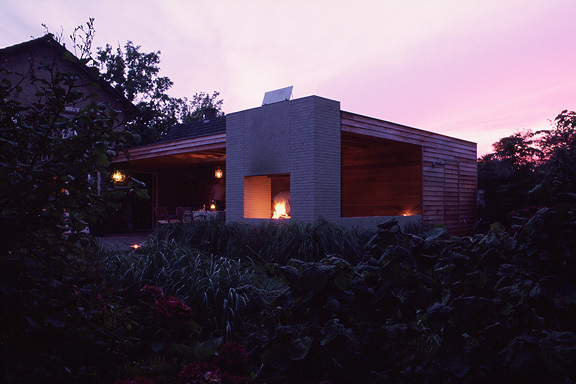 It was supposed to replace a decrepit shed and to add a new veranda with a fireplace. 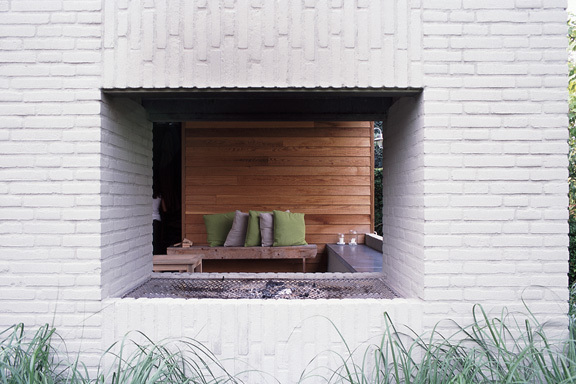 Two L-shaped entities frame the view into the deep garden. 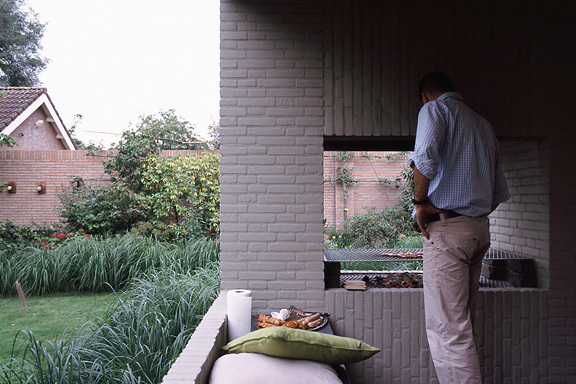 The brick element contains the chimney and acts as a bench. 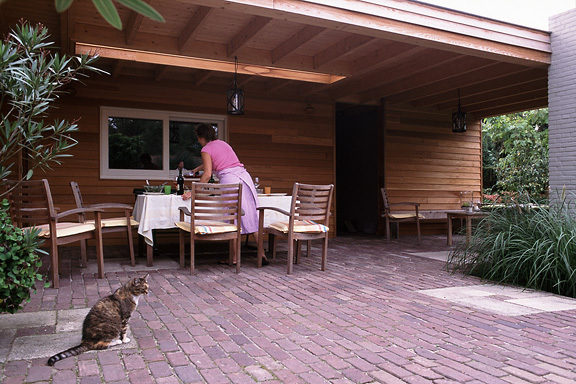 The wooden part contains the new shed, a log storage and a tool shed, and continues into the ceiling of the veranda. This assignment is done in collaboration with Johan van den Berkmortel.